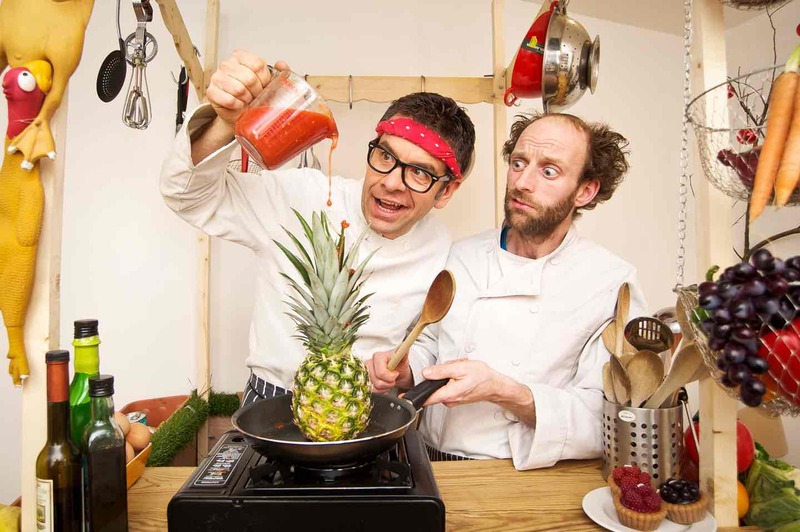 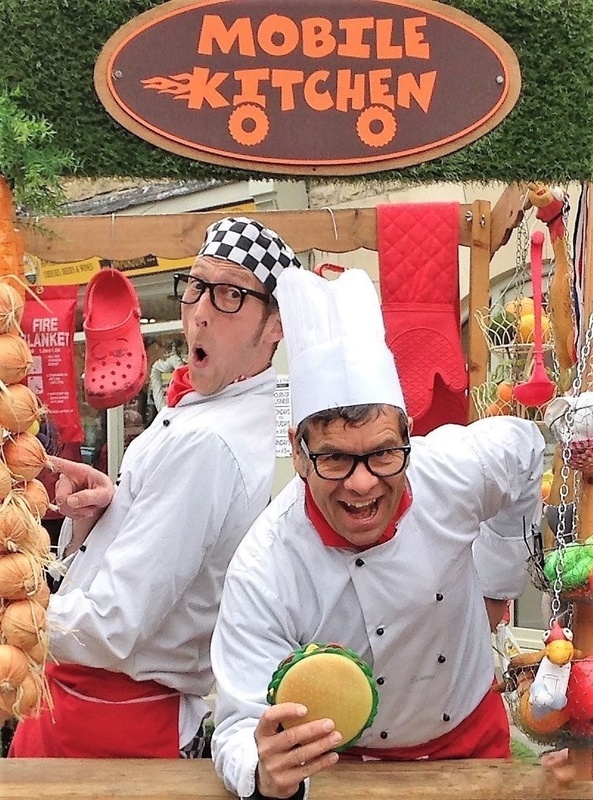 The comedy chefs – Hugh Fearn and Lee Whittingstall – present a cookery demonstration like no other. 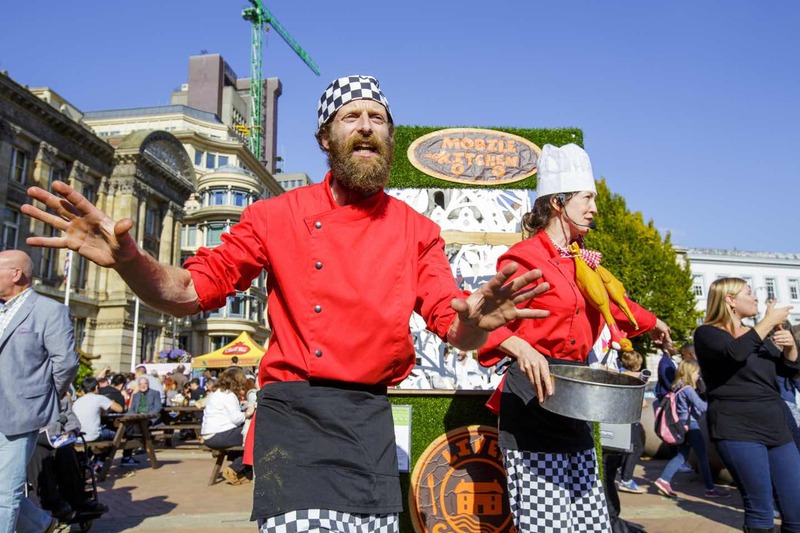 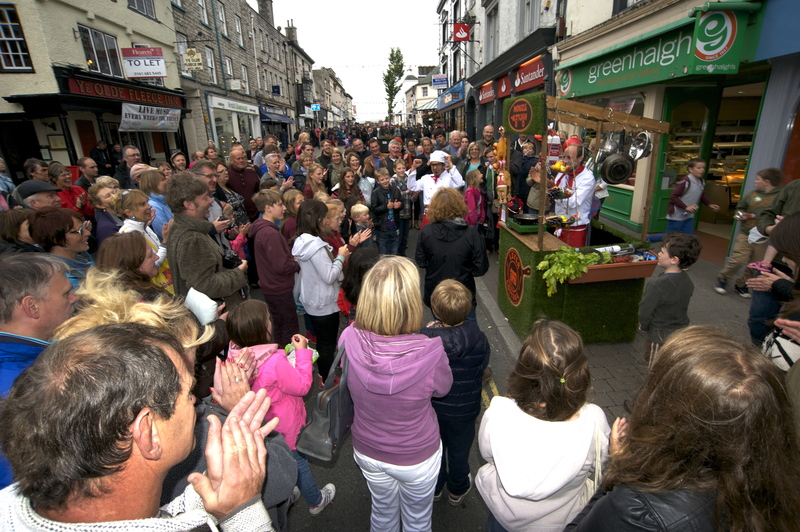 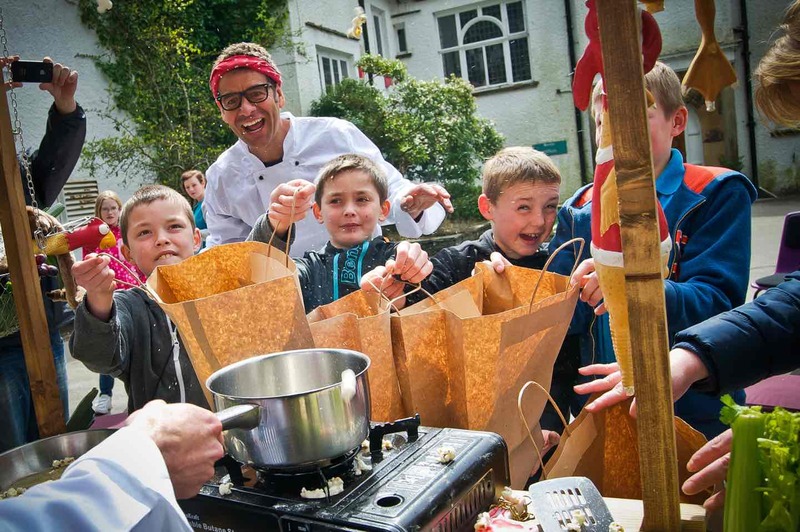 As the mobile kitchen garden moves through the crowds they create ‘fusion food on the move’, blending home grown ingredients with food foraged from the corner shop, the streets and of course the audience. 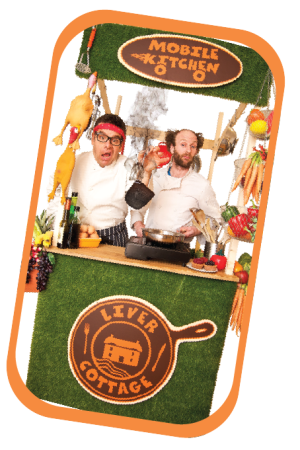 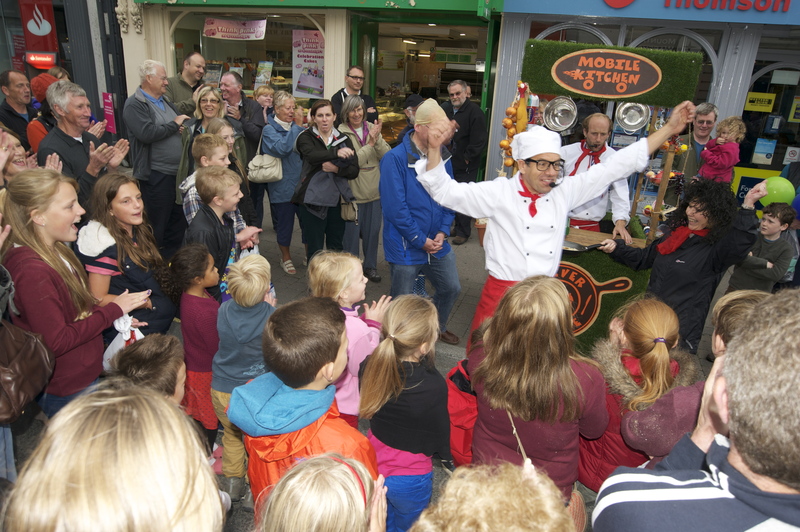 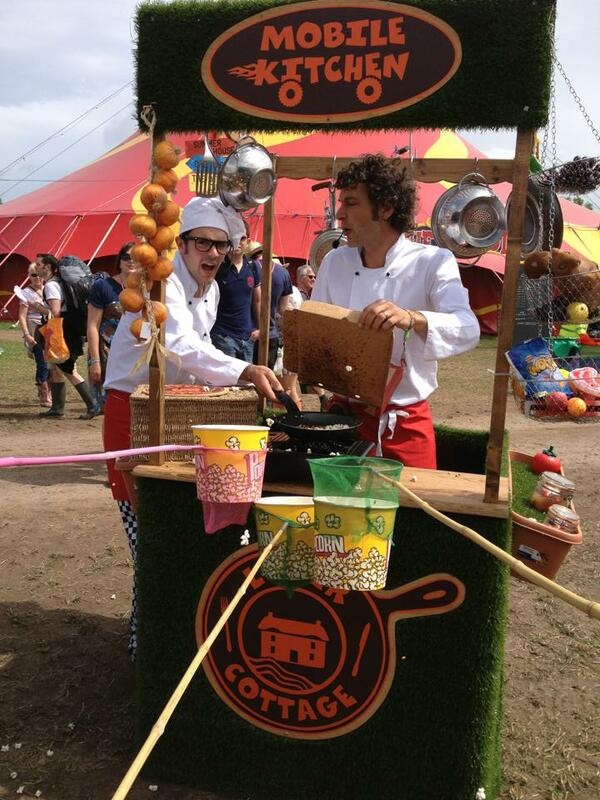 2 performers move around with the booth then stop, gather a small / medium sized crowd (as appropriate for the space) then perform 5 to 10 minutes of cookery demonstrations preparing ridiculous and funny dishes before moving on and repeating.